Is it a boat? Is it a bunker? No, it’s an iconic house, built by the famous architect Juliaan Lampens. If you want to sleep in a masterpiece, this is your chance, for you can now rent it via Airbnb! Architect Juliaan Lampens is one of Belgium’s pioneers of brutalism, combining basic materials with innovative design, and traditional elements with a modernistic style. Expo 58 inspired him to explore new directions in architecture and from then on, he developed totally new architectural ideas. When he designed his own home, he strayed far from the traditional architectural paths. Lampens was inspired by Scandinavian and Japanese design and art but also by iconic designers such as Mies van der Rohe and Le Corbusier. He developed a number of projects in ‘The Leiestreek’, an area near Ghent where many artists, architects and designers lived and worked. 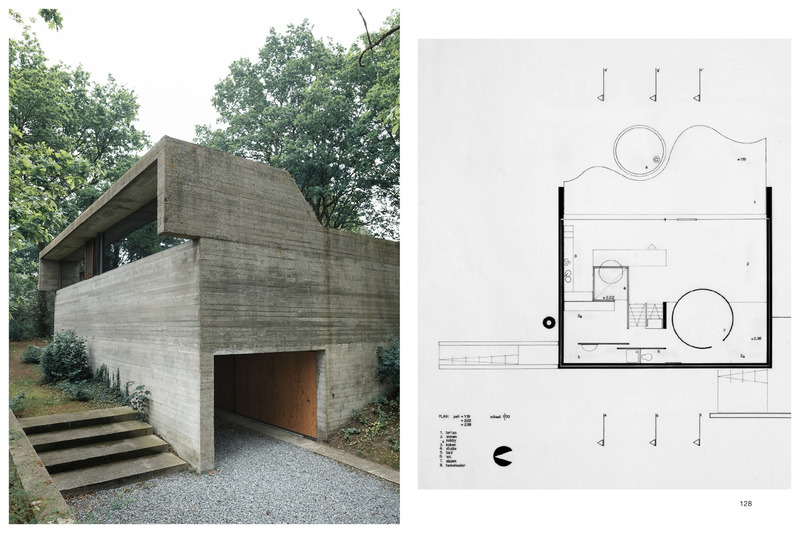 One of these is the house of Albert Van Wassenhove, a geometrical from 1972, surrounded by trees and wild plants. 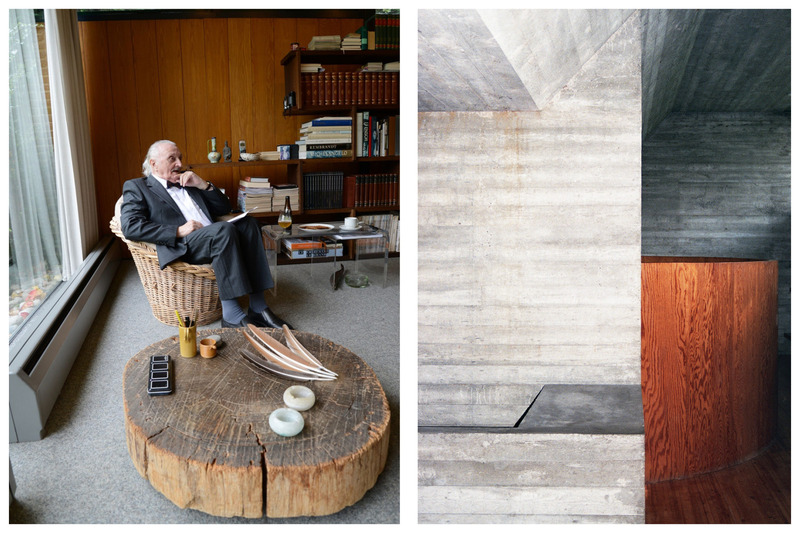 Albert Van Wassenhove was a teacher with a passion for modern art and architecture. In the early seventies, he asked Lampens to build a house for him in his own unique style. Lampens designed a building of concrete, wood and glass with no interior walls, but just one open space. The whole house is based on the basic geometrical shapes; the sleeping area is a circle, the kitchen a triangle, the desk a square. These shapes also come back in small details such as the stools and door handles, and in the facade of the building. The bunker-like construction features a mixture of triangular shapes and a light shaft provides natural light. Most of the houses Lampens built are closed off from the public eye on one side, but are otherwise completely open to nature – a balance between transparency and privacy. 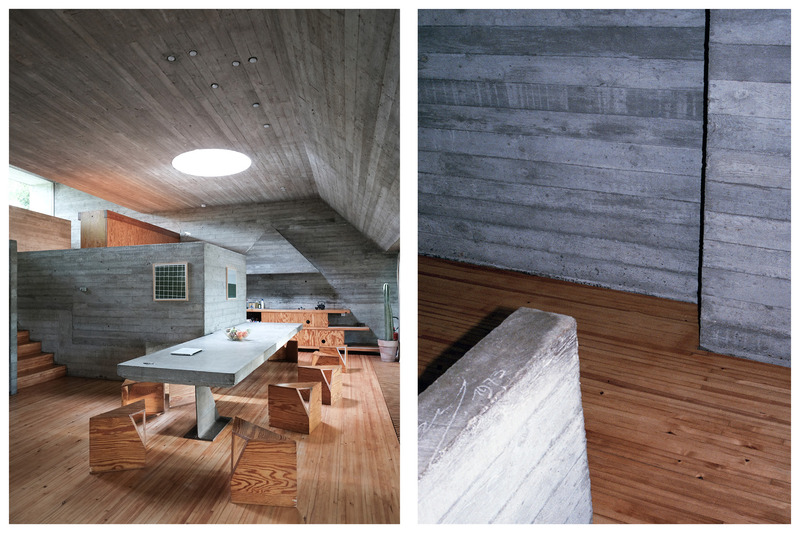 But this house is about more than playful lines and special shapes: it also redefines our way of living. As a guest in this house, the interior starts to make sense to you. The Wassenhove house can be seen as one of Lampens’ greatest masterpieces, together with the chapel of Kerselare and the Vandenhaute – Kiebooms residence. In 2012, the house was donated to Ghent University, which then gave is on a long-tem loan to the Dhondt-Dhaenens Museum in Deurle. It was restored in 2015 and can be now rented via Airbnb. Three reissues of original daybeds by Juliaan Lampens have been added to the interior, courtesy of Court Gallery Maniera in Brussels. The iconic stool by Juliaan Lampens. 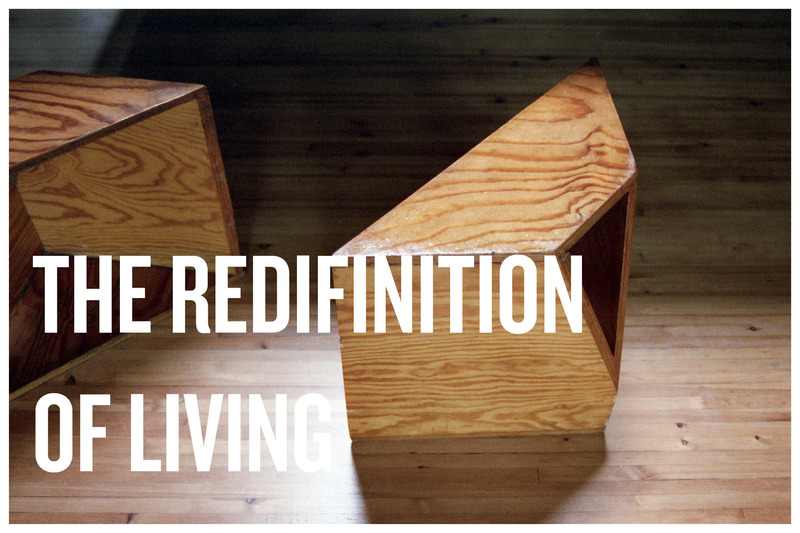 The stool can transform into a small storage unit when turned on its axis. 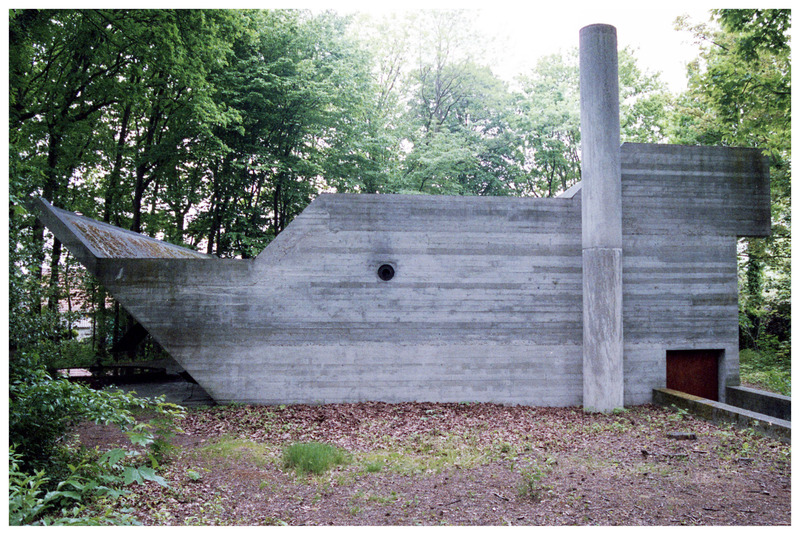 Left: Outside view of the House Of Wassenhove, geometric lines and shape are clearly noticeable. Right: plan of the House Van Wassenhove with garden designed in 1972. Left: Interior view of the house. Upfront the concrete table with stools, lighten up by the round dome in the ceiling. The kitchen is marked with the triangle shaped steam hood. Right: detail of the concrete walls with signature of Juliaan lampens . Right: view of the upstairs of the house with a round shaped sleeping area.